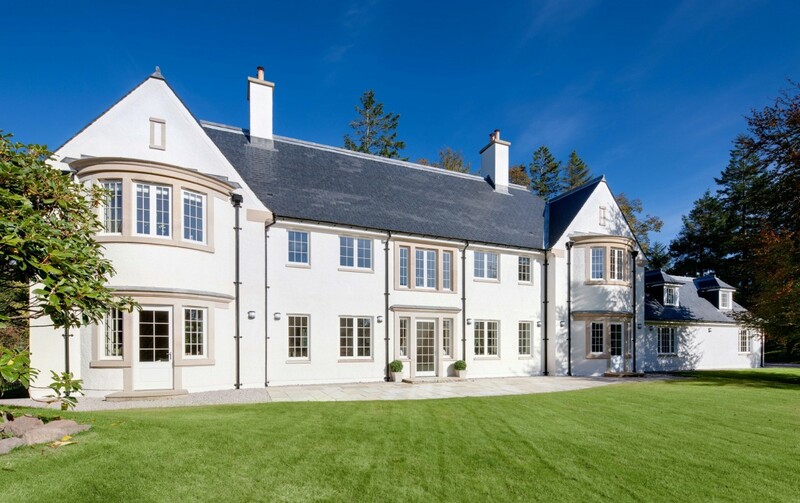 Thomas Robinson Architects provided an Executive Architecture role for this new-build development of 5 individual Arts and Crafts style houses on an 8-acre mature garden­­­ site in Kilmacolm, Renfrewshire, central Scotland. The designs are by internationally renowned Traditional Architect Hugh Petter of ADAM Architecture. As Executive Architects, we essentially realised Hugh’s vision. This meant preparing detailed drawings, specifications, obtaining planning and building warrant consents and providing contract administration services through to completion. 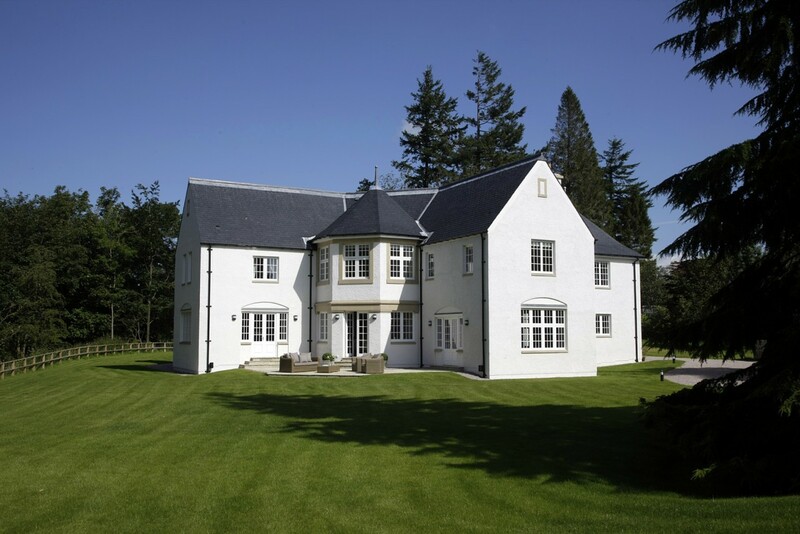 Each traditional-design house has an expansive scale and exceptional proportions, unlike any other speculative residential architecture currently being built in Scotland. We achieved the goal for our client, Scops Developments, of a sympathetic development of residential architecture of exceptional quality that respected the mature planted garden setting. 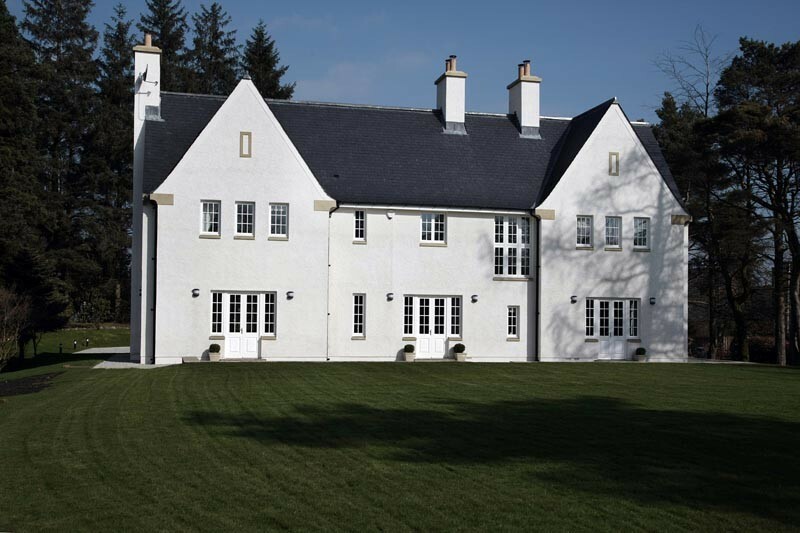 We also worked with Douglas Martin of D M Land, Colin Christie of the Christie Partnership and Interior designer Wendy Fleming of Baillie Fleming design. Thomas Robinson Architects produced more than 100 drawings for each house to successfully achieve the bespoke individuality on this speculative residential architecture development. We co-ordinated input from consultants, specialist contractors and suppliers into detailed contract drawings and information packages. 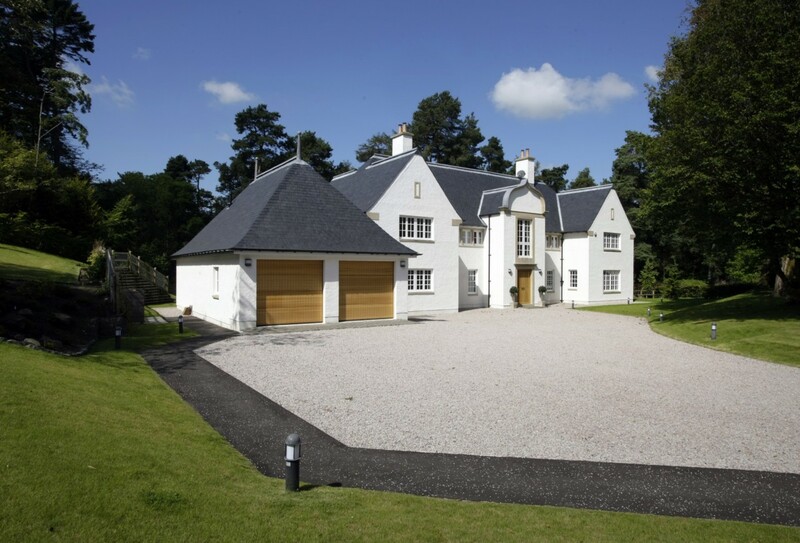 This enabled the building contractors to produce the exactness of detail required. Our project architects intensively monitored the construction process and their effective communication with contractors and team members ensured consistent high standards. Avenel has won a series of awards as listed below. 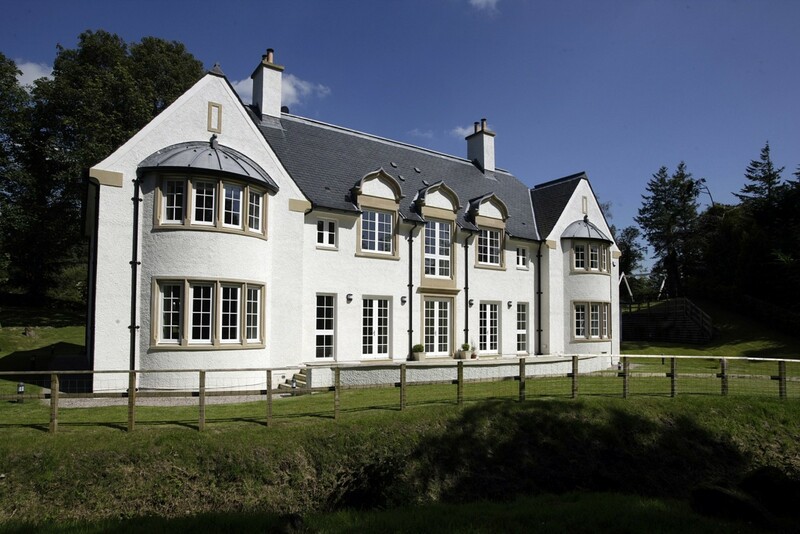 The concept of traditionally designed Arts and Crafts Style houses fitting within a mature landscape setting has been beautifully realised. The properties are very much individual houses yet the unifying style and pallet of materials brings harmony between them. 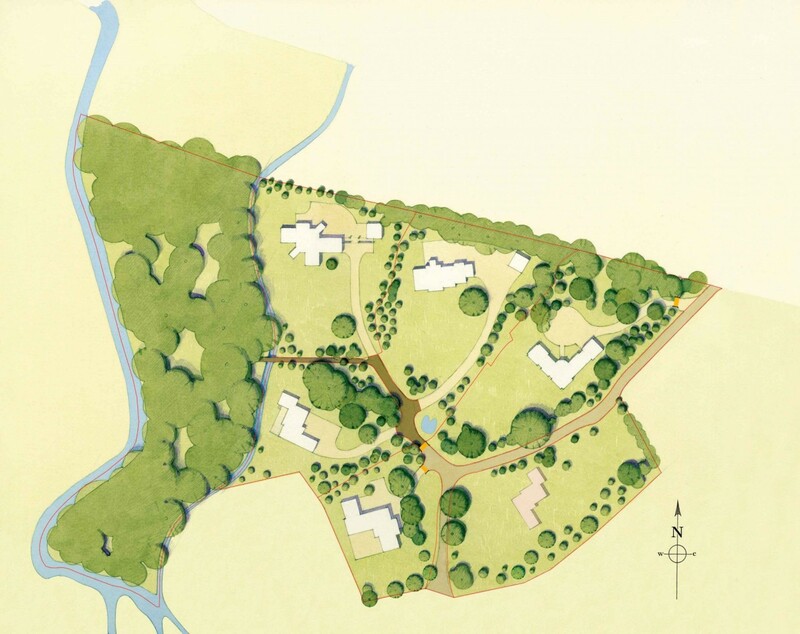 The development feels like a small country estate, with each house having a share of the 3 acre woodland including paths and a trout stream.